Earlier this week the internet found its latest viral star, and the hunt was on to identify the tea seller from Islamabad. It all began when Instagrammer Jiah Ali paid a visit to Itwar Bazaar several months ago. Captivated by the young man selling hot tea, she snapped a picture but did not post it until earlier this week. 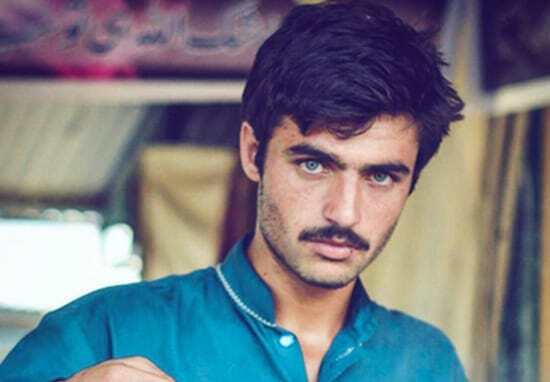 As reported by the i100, #chaiwala started to trend as a result. Arshad Khan was soon revealed as the man at the centre of all the fuss, and his life has been changed substantially. Arshad revealed to Samaa TV that he is in fact one of 18 siblings, and is from Mardan in the Khyber Pakhtunkhwa province of Pakistan. He added that ’40 to 50 girls have visited me since morning’ and he is open to showcasing his virally renowned looks in acting roles. But it would appear the modelling world will be his first port of call, with the teen having been quickly signed by Fitin. Concerns have been raised by Arshad’s meteoric rise from market worker to model, with some suggesting has been massively objectified, and now represents the deep class divide within Pakistan. What I would and do have a problem with is the accompanying surprise that he is a chaiwala. That this is a man from an obviously lower-income background and is yet so good looking. She has a point, but Arshad is probably more focused on developing his career than questioning the morality of how the opportunity arrived.